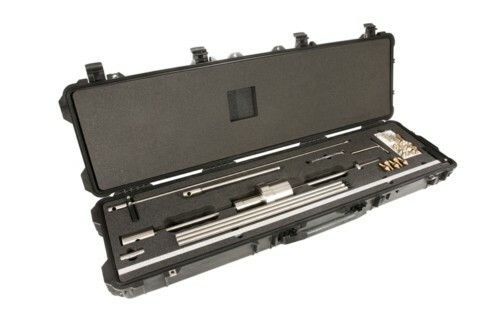 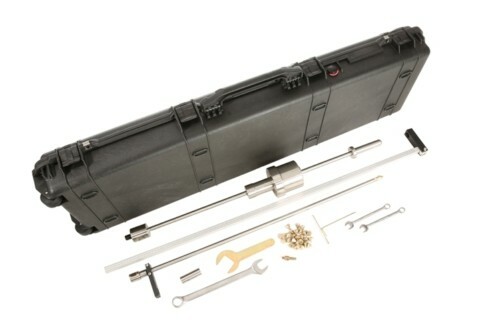 Airfield Deluxe Stainless Steel Dual Mass DCP Kit 48" Extra Strong Drive Rod made of ETD 150 Steel (46" actual penetration) (DM.QC.4), 100 Disposable Cone Tips (DM.ALL.100), 2 Cone Adaptors (DM.ALL.3), 1 Hardened Steel Reusable Cone Tip (DM.ALL.1), 50" Vertical Scale (DM.ALL.10), All Wrenches, Upper & Lower Guides to hold Vertical Scale allowing one person operation (DM.ALL.11 & DM.ALL.12), Custom Made Pelican 1750 Case (DM.ALL.5) Meets all D6951/D6951M − 09 (Re-approved 2015) and Army Corp of Engineer certifications and standards. 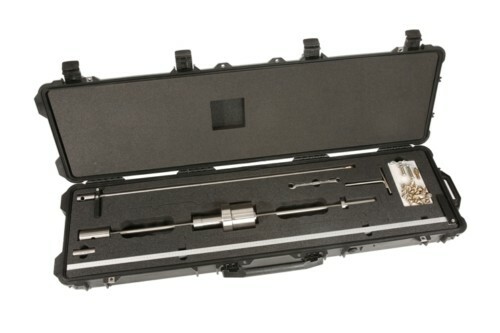 Deluxe Stainless Steel Dual Mass DCP Kit 30" Drive Rod (28 1/4" actual penetration) (DM.QC.1), 100 Disposable Cone Tips (DM.ALL.100), 2 Cone Adaptors (DM.ALL.3), 6 Hardened Steel Reusable Cone Tip (DM.ALL.1), 50" Vertical Scale (DM.ALL.10), All Wrenches, Upper & Lower Guides to hold Vertical Scale allowing one person operation (DM.ALL.11 & DM.ALL.12), Light Duty Drive Rod (DM.QC.5), 3 24" Drive Rods (DM.ALL.4), Custom Made Pelican 1750 Case (DM.ALL.5) Meets all D6951/D6951M − 09 (Re-approved 2015) and Army Corp of Engineer certifications and standards. 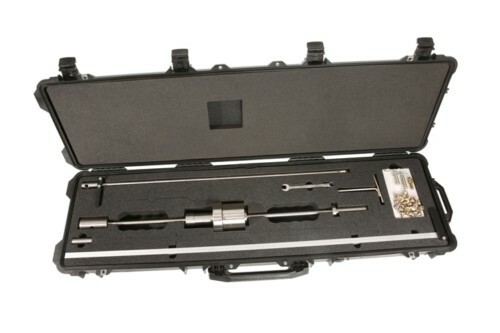 Standard Stainless Steel Dual Mass DCP Kit 30" drive rod (actual penetration 28 1/4" (DM.QC.1), 25 Disposable Cones (DM.ALL.25), 1 Cone Adaptor (DM.ALL.3), 1 Hardened Steel Reusable Cone Tip (DM.ALL.1), 50" Vertical Scale (DM.ALL.10), Custom Made Pelican 1750 Case (DM.ALL.5), All Wrenches, Upper & Lower Guides to hold Vertical Scale allowing one person operation (DM.ALL.11 & DM.ALL.12) Meets all ASTM D-6951 and Army Corp of Engineer certifications and standards.